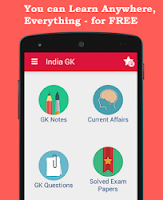 Home » Articles , India GK , Public Admin , World GK » What is Feudal System ? Feudal System: The term feudal system is used when we're talking about the way society was structured in medieval Europe. Military, social, and political customs all followed the feudal system, in which land was exchanged for work. In a feudal system, a peasant or worker known as a vassal received a piece of land in return for serving a lord or king, especially during times of war. Vassals were expected to perform various duties in exchange for their own fiefs, or areas of land. 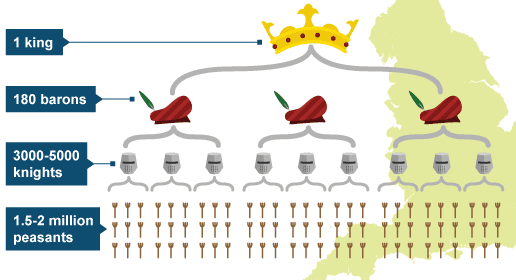 The term feudal system wasn't used until 1776, and it came from the Latin word feudum, or "feudal estate." The structure of the feudal system was like a pyramid, where the king was at the apex (point at the top) and the peasants (common people) of the country were at the base. In between the two were several groups of people like Barons, Knights who were a vassal to those directly above meaning that they swore loyalty to them. Each group of people were granted land and protection by those above in return for services.